© 2000-2016 SPRINT MUSIC. ALL RIGHTS RESERVED FOR THE UNITED STATES AND THE WORLD. Sprint Music is a cutting edge facility for analog and digital recording. Recently specializing in restoration and remixing of older recordings into new analog and high resolution digital masters. The analog facility offers a complete collection of tape systems from 2" to 1/4", along with appropriate noise reduction systems from Dolby® and DBX®. 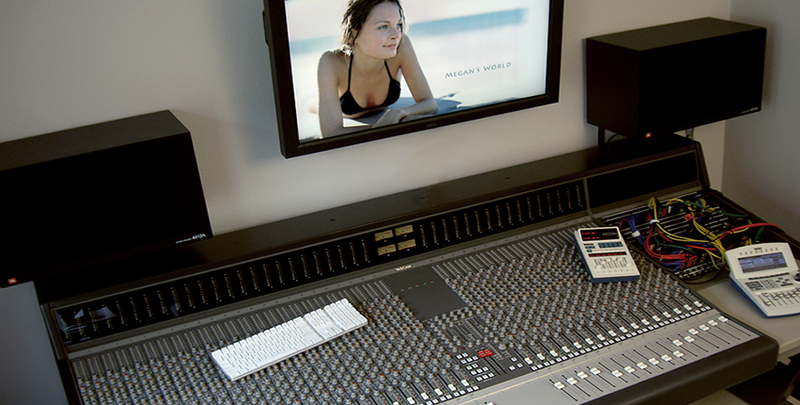 The digital facility is capable of 48 simultaneous channels at 24 bit, 192 khz sampling. Software systems include Steinberg Nuendo, Cubase and Wavelab. For digital cinema the facility has two Red® Digital cameras with a complete collection of Red® and Arriflex® Prime lenses, amble digital media, and post production software including Final Cut Pro® X and latest Adobe Suite with high resolution 5k monitors. With Nuendo the studio is capable of 40 track cinema scoring as well.